California's fertile Salinas Valley is home to two families whose destinies are fruitfully, and fatally, intertwined. Over the generations, between the beginning of the twentieth century and the end of the First World War, the Trasks and the Hamiltons will helplessly replay the fall of Adam and Eve and the murderous rivalry of Cain and Abel. 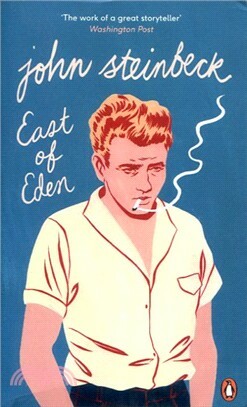 East of Eden was considered by Steinbeck to be his magnum opus, and its epic scope and memorable characters, exploring universal themes of love and identity, ensure it remains one of America's most enduring novels.